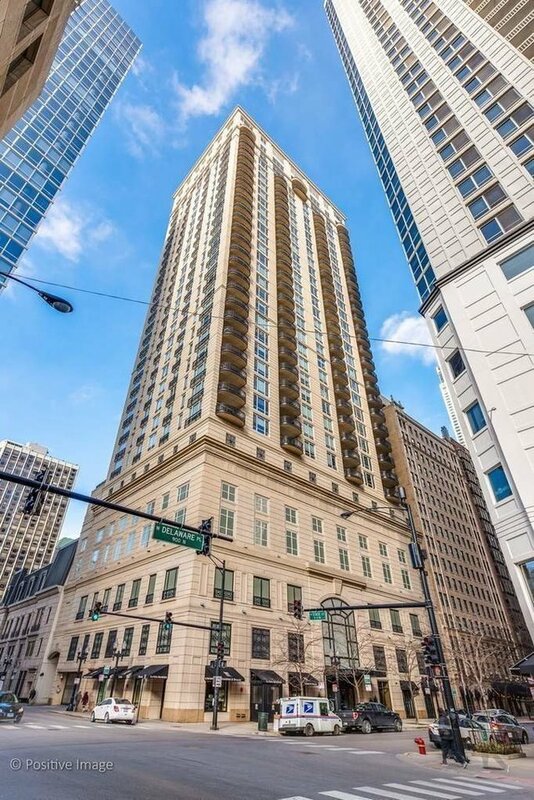 Rarely available popular'B' tier in premier Lucien LaGrange boutique Gold Coast building. This floor plan lives like a single family home with custom wide plank hardwood flooring throughout. The designer home features a large formal living/dining room, family room, three spacious bedrooms, marble baths plus a den/library. All rooms have east exposure with skyline and lake views. Fabulous gourmet kitchen including Poggenpohl cabinetry, Sub-Zero, Wolf and Miele appliances. Elegant, gracious living space with custom fireplace and marble surround, gorgeous millwork, smart home technology with invisible speakers and motorized shades, custom window treatments. Two terraces with city and lake views. Walk-in laundry room with, tremendous closet space and 2 side by side garage parking spaces included. Building amenities include 24 hour doorman, roof-top outdoor heated pool, sun deck, top of the line fitness center, and entertainment room, extra unit storage and bike storage. A stunning home!